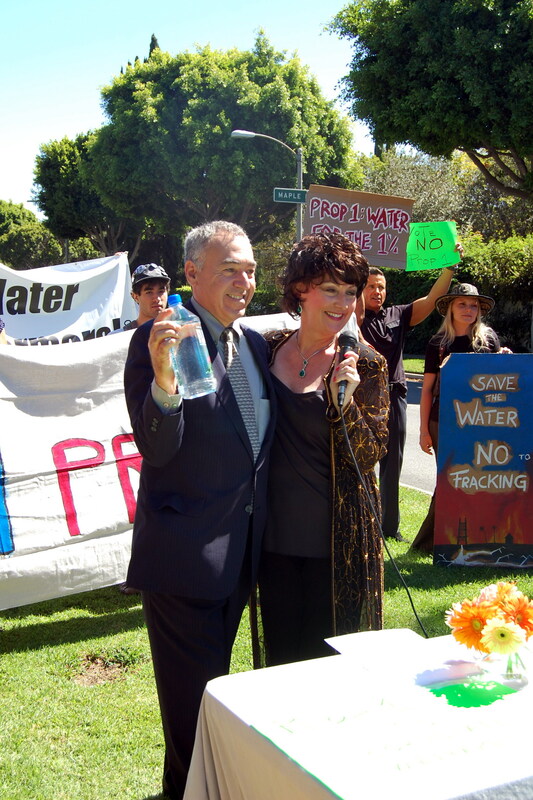 Beverly Hills, CA—Despite benefiting handsomely from the privatization of the Kern County Water Bank in 1995, and from a business model that re-sells subsidized water to different branches of the government and developers around the state, Stewart and Lynda Resnick want more, more, more. 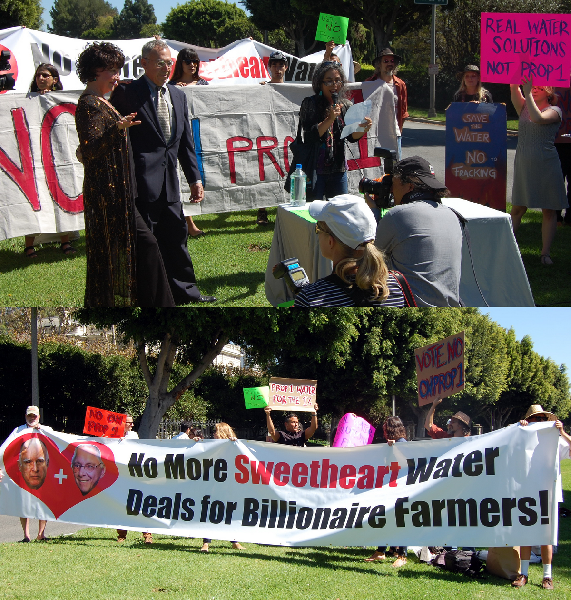 California’s November 2014 ballot Proposition 1 would fund up to $7.5 billion in general obligation bonds for water-related infrastructure that would directly benefit billionaires like the Resnicks, who own the largest pistachio and almond producer in the world, Paramount Agribusiness, which is also the largest farming operation in America. 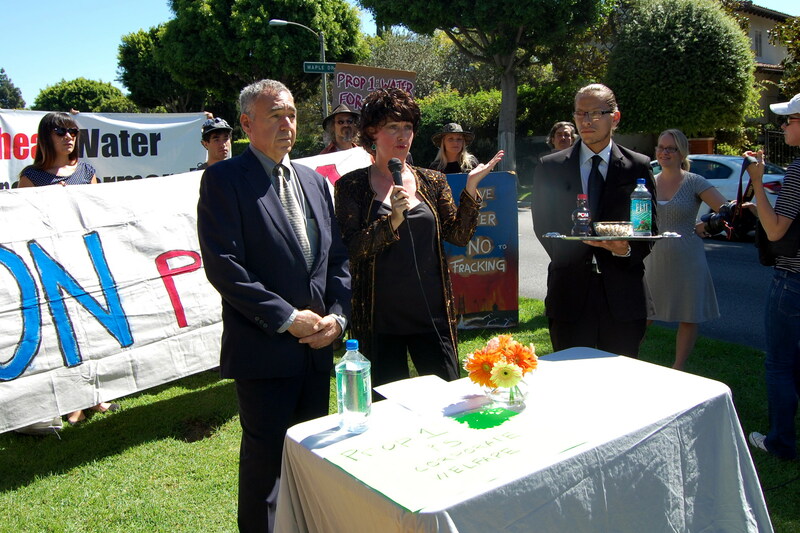 At the “No on Prop 1” press conference (http://www.noonprop1.org/), actors portraying the Resnicks toasted the growth of their own wealth thanks to powerful friends in Sacramento, while a tuxedo-clad waiter held a tray of POM Wonderful juice, Fiji Water, and Wonderful Pistachios (brands owned by the Resnicks’ umbrella company Roll Global). 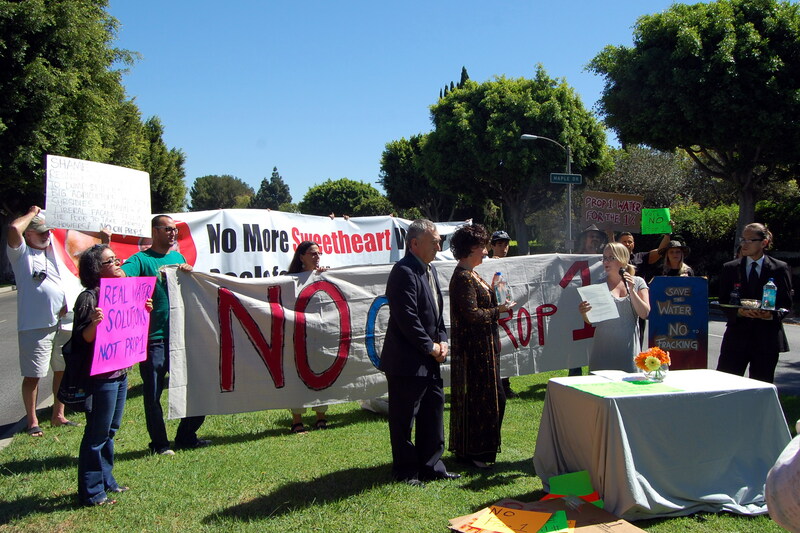 The skit touted record profits in a drought year, revealing the business model of growing water-intensive crops on toxic Central Valley soil for export to foreign markets in China. Should taxpayers subsidize dams that benefit private agriculture corporations? 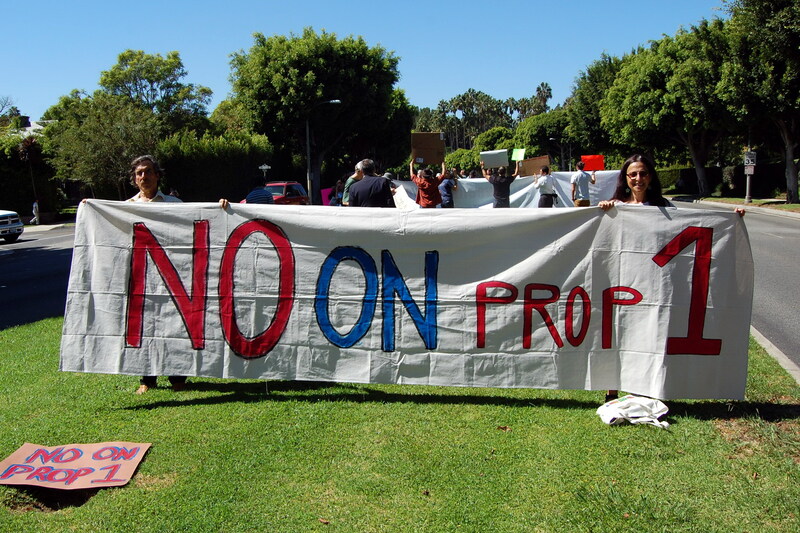 When interest is added, the total cost of Proposition 1 nearly doubles, to $14.4 billion, all to help water exporters who want to overpump the San Francisco Bay Delta for industrial farming and re-sell taxpayers water that is already owned by the public. 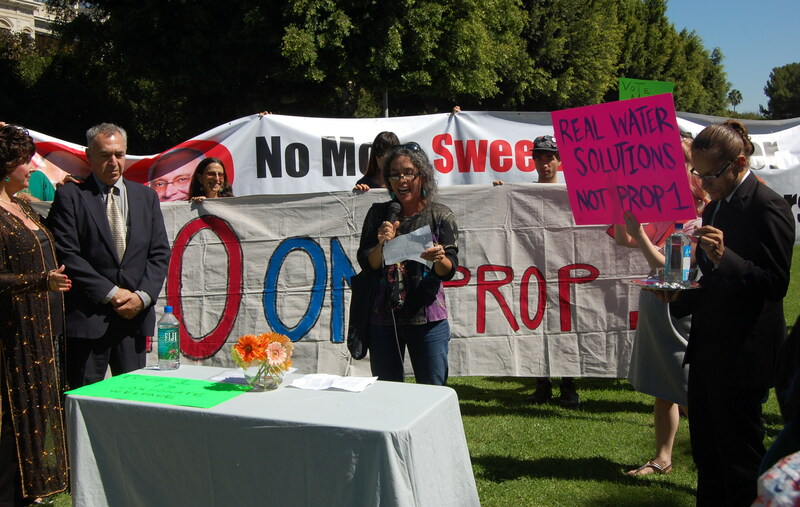 -Help exporters take water from Northern California rivers, threatening the salmon industry, jobs, and fisheries. 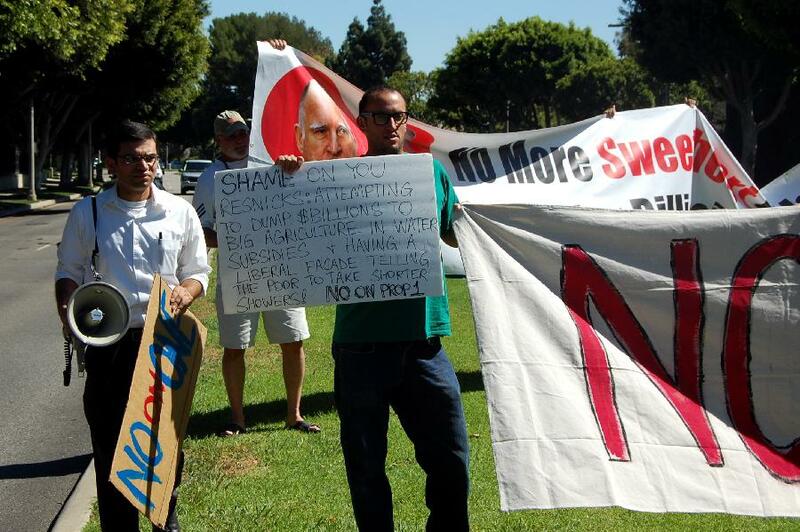 -Force taxpayers to buy water that the public already owns to protect fish and to ensure reliable supplies for export. -Help industrial farming operations overpump the San Francisco Bay Delta and avoid fixing the environmental damage they cause. "Shame on you, Resnicks: Attempting to dump $Billions to Big Agriculture in water subsidues & having a liberal facade telling the poor to take shorter showers! 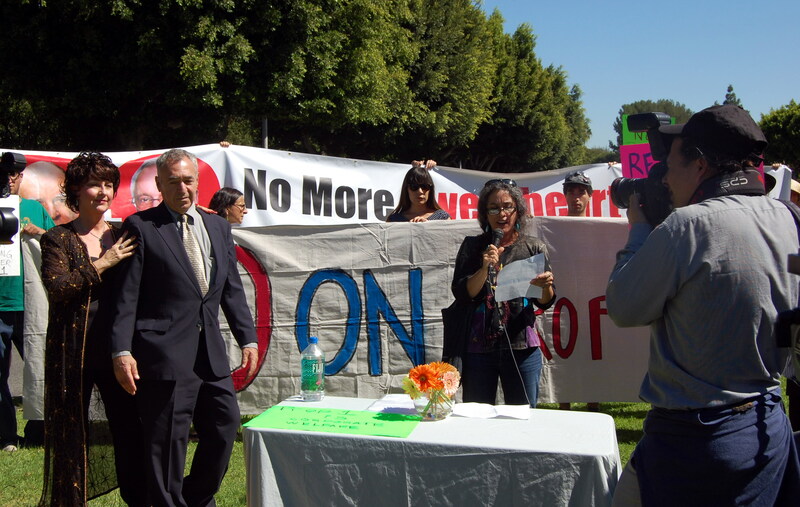 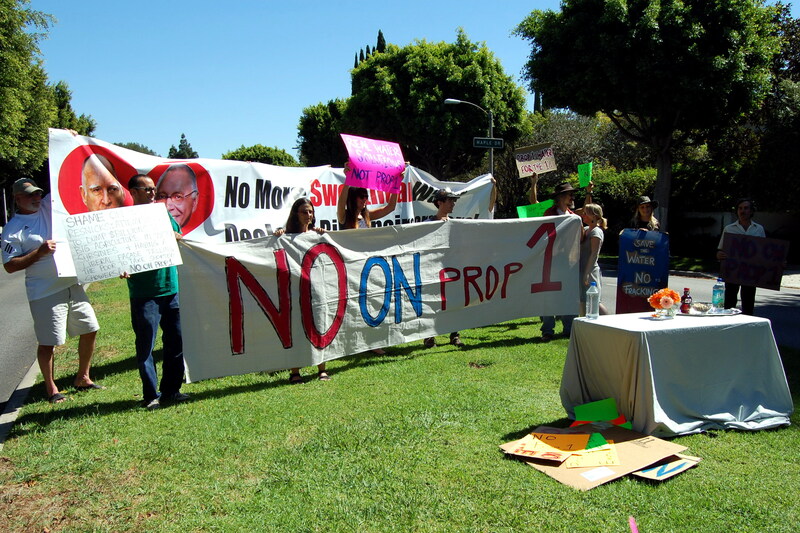 No on Prop 1" rally and press conference, October 2, 2014 (Beverly Hills, CA). 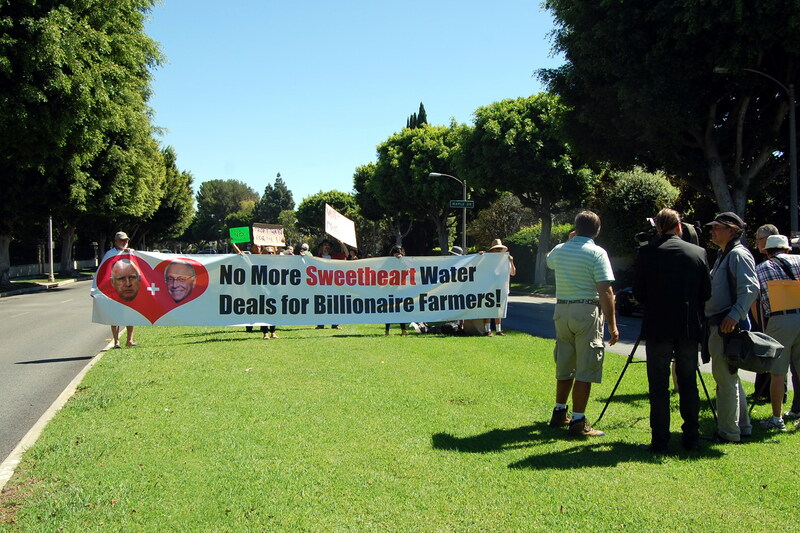 Press conference and rally outside the home of agribusiness tycoons who own Paramount farms and control vast amounts of water in California.